Flat Roof Replacement Weston super Mare 01934 824005. Call us today for your FREE roof survey & no obligation quote! Thermal Roof Ltd are one of the areas leading flat roof specialists servicing customers throughout the West Country and beyond. Established in 2007 we have built an enviable reputation for reliability, professionalism and quality and we take great pride in the the products and services we supply. Based in Banwell, near Weston-super-Mare we are a family-run business with a wealth of knowledge and expertise in all aspects of roofing and more. Over the years we have completed thousands of roofing projects of all shapes and sizes and have a large list of very satisfied customers. We are proud to hold the accolade of being a Which Trusted Trader and are also a Trading Standards Approved company giving customers the added reassurance and total peace-of-mind when choosing us. 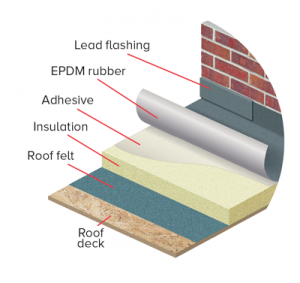 In addition to being experts in EPDM rubber flat roofing installations we can also supply and replace uPVC fascias, soffits and guttering. Thermal Roof only install professional grade components, ensuring your home will not only look good but be protected from the elements for many years to come! 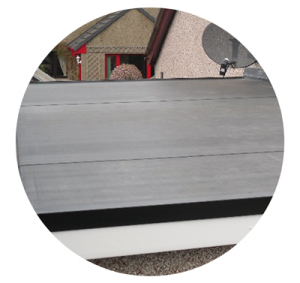 Our EPDM rubber flat roof system is the perfect choice when replacing your existing flat roof. We are able to externally retrofit insulation to any flat roof with the minimum of mess and disruption. 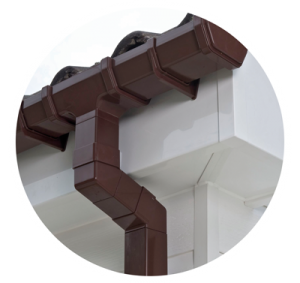 We only supply and install professional grade uPVC fascias, soffits, guttering & drainpipes rather than DIY standard. Picking a company to repair or replace your roof can be a daunting and difficult decision to make. Not only do Thermal Roof have have thousands of satisfied customers and can provide many personal references & testimonials, but we are also a Trading Standards approved company and a Which Trusted Trader, allowing you to chose Thermal Roof Ltd with complete confidence. But don’t take our word for it – click here to read all of our, completely independent, customer reviews. Call us today to book your FREE roof survey & no-obligation quote!